You may have noticed that older houses often have higher ceilings than those found in new homes. 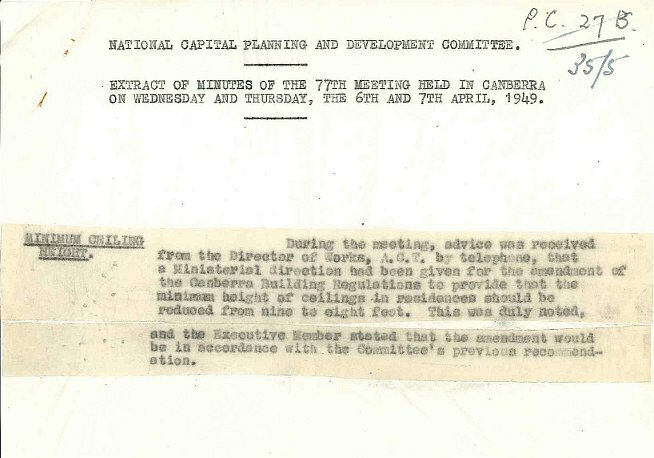 The file 'PC35/5/0 – National Capital Planning & Development Committee – Ceiling Heights in Dwellings' explains why this change has occurred. 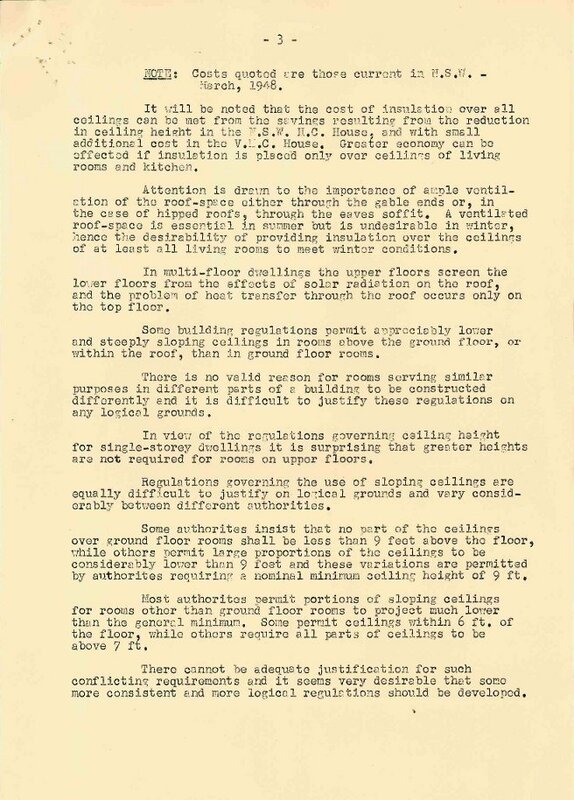 To counter the rising construction costs of housing in the late 1940's, it was proposed that the minimum ceiling heights in houses be reduced from 9 to 8 feet (2.74 to 2.43 metres). Reducing the ceiling height would reduce the amount of materials required to build a house. 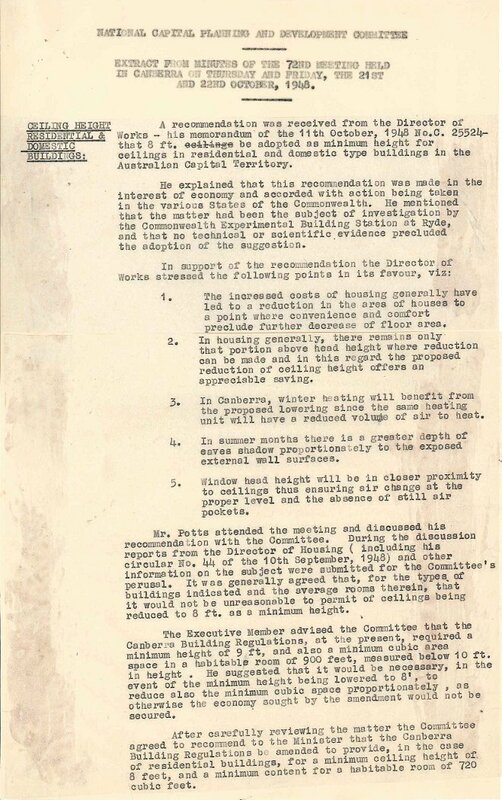 Investigations were made by the Commonwealth Experimental Building Station at Ryde in Sydney as to the effect this reduction would make to room temperatures. 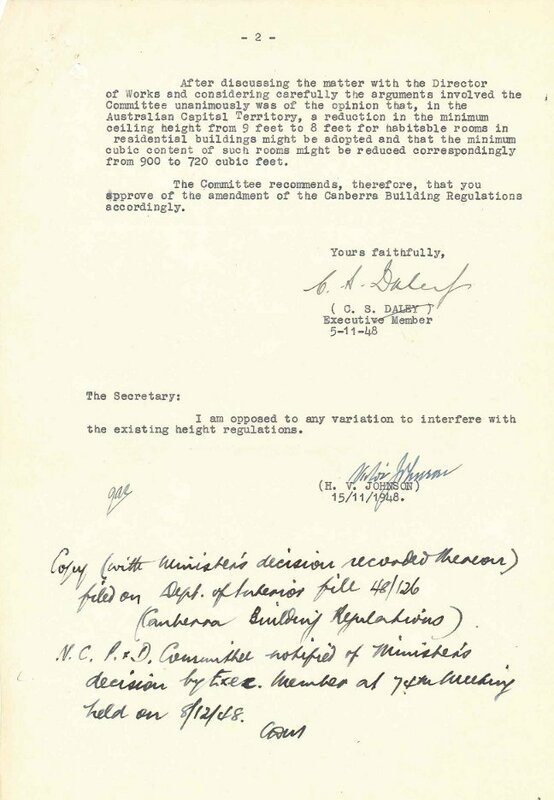 To resolve this issue it was recommended that the minimum volume of a habitable room be reduced from 900ft² (83.61m²) to 720ft² (66.89m²) in the Canberra Building Regulations. This recommendation was rejected by the Minister for the Interior, the Honourable H.V. Johnson, M.P. in December 1948. 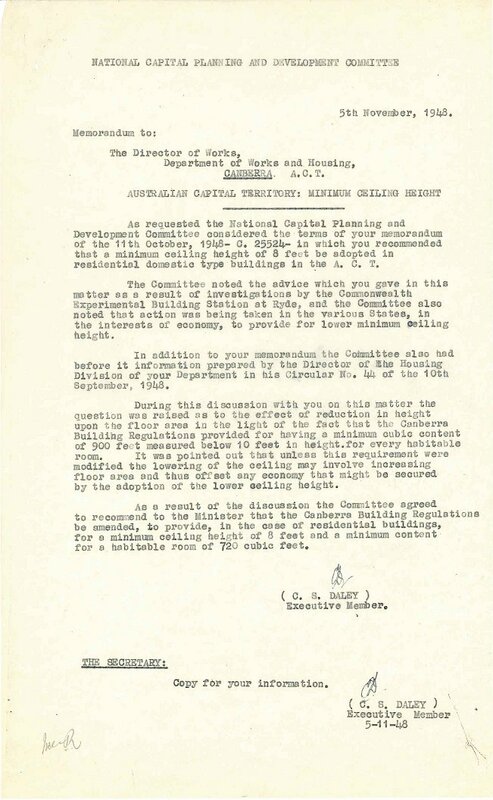 The Minister reconsidered this decision in April of 1949 allowing the amendments to be made. 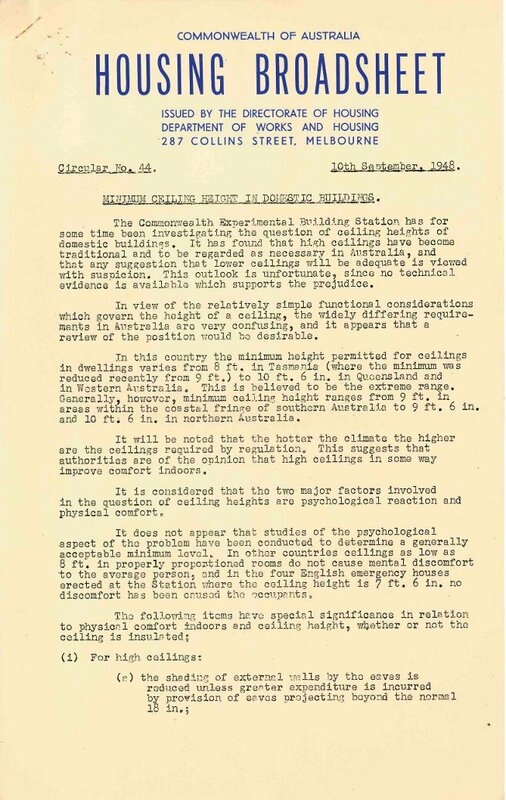 Since 1998 all Commonwealth States and Territories have had building construction regulated by the 'Building Code of Australia' (BCA). 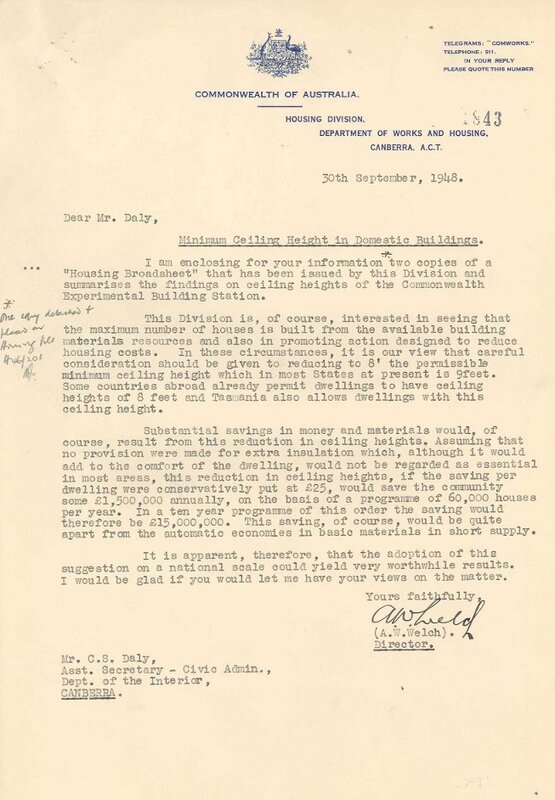 As noted in the Housing Broadsheet, 10 September 1948 above, the lack of uniform building regulations created a confusing variety of specifications between states. 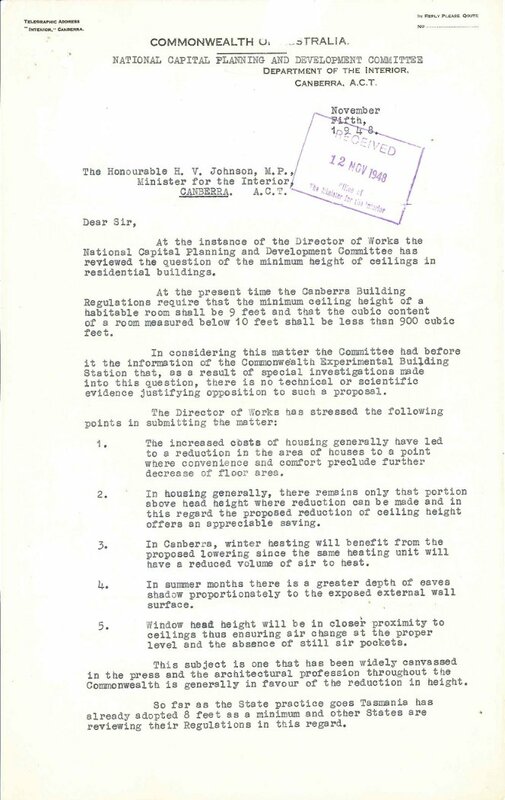 In 1965 the Interstate Standing Committee on Uniform Building Regulations (ISCUBR) was formed. 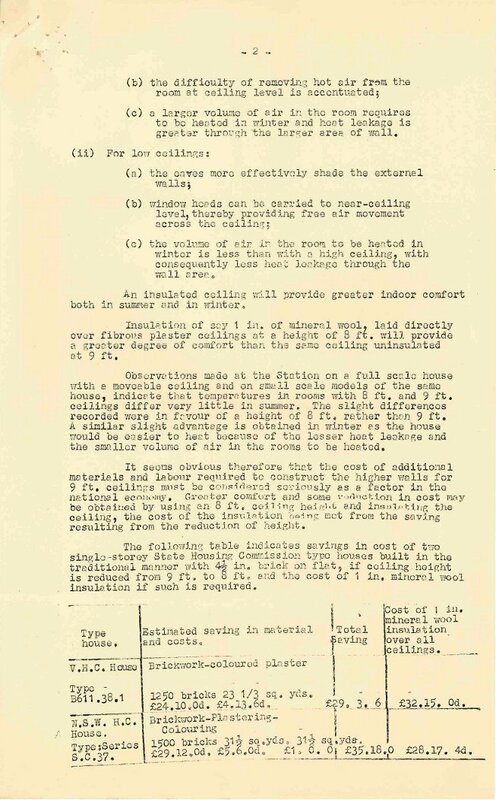 They released the 'Australian Model Uniform Building Code' (AMUBC), however this was not uniformly adopted across Australia. 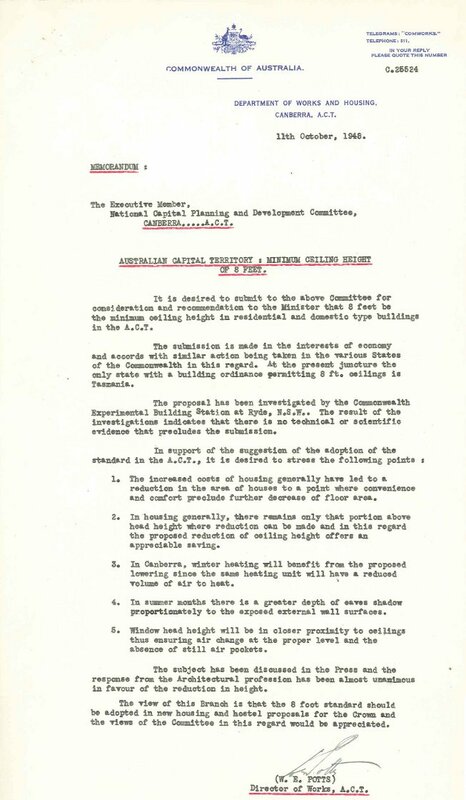 It was the establishment of the Australian Building Codes Board in 1989 with the aim of introducing uniform building regulations across Australia that resulted in the adoption of the BCA. Minimum ceiling heights for habitable rooms is currently 2.4m.